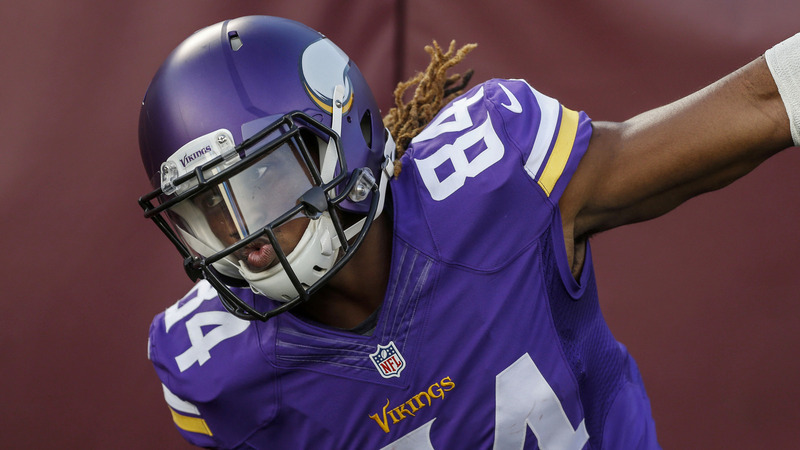 Vikings considering trading WR Cordarrelle Patterson? The Minnesota Vikings were hoping that wide receiver Cordarrelle Patterson could turn things around this season, but those hopes have not turned into reality. He has struggled once again and a recent report from Benjamin Allbright states that the Vikings have solicited trade interest from more than one team for Patterson. At just 24 years old, there are quite a few teams that would be wise to gauge what it would take to acquire Patterson. One of those teams is the Cleveland Browns, who are in need of playmakers in a big way. The Baltimore Ravens would also make a lot of sense, as Joe Flacco could use more help at the wide receiver position. So far this season through the first four weeks of the season, Patterson has caught just two passes for 10 yards. He hasn’t been a difference maker at all this season and the Vikings are getting fed up with waiting for him to turn things around and become the player that he is more than capable of being. Patterson likely won’t net the Vikings much more than a late-round draft pick. If that is indeed the asking price for the Vikings, there are going to be plenty of teams that come calling pursuing him. Minnesota can’t afford to make the price too steep for Patterson, as there is simply no reason to value him much higher than a special teams player. There is always the chance that a change of scenery could help him break out of the slump that he is in. It would be worth the risk for a team in need of playmaking on the offensive side of the football. Minnesota’s offense simply doesn’t fit Patterson very well, which is a big part of the issue. Expect to hear plenty more rumors surrounding Patterson over the next few days. Minnesota is obviously serious about trading him if a team offers them what they are looking for. It wouldn’t be surprising to see him get dealt ahead of the trade deadline, but it will all depend on the asking price.